Soaring Eagle Folding Knife with Display Box | BUDK.com - Knives & Swords At The Lowest Prices! 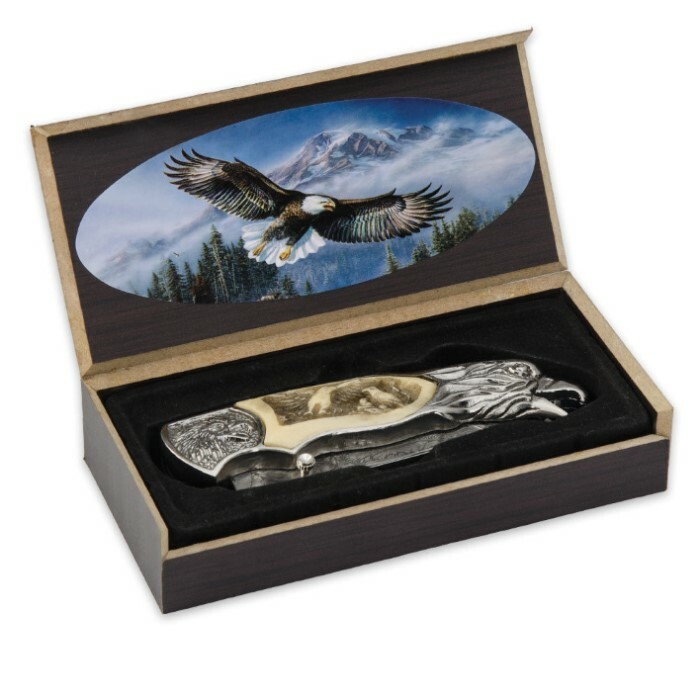 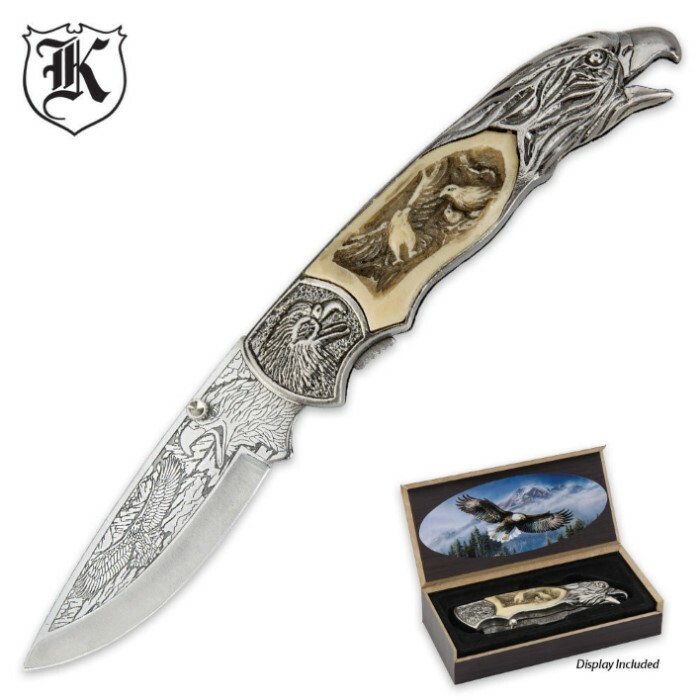 This Custom Soaring Eagle folding knife features intricate blade etchings and an eagle scene on the resin inlays of the cast metal handle. 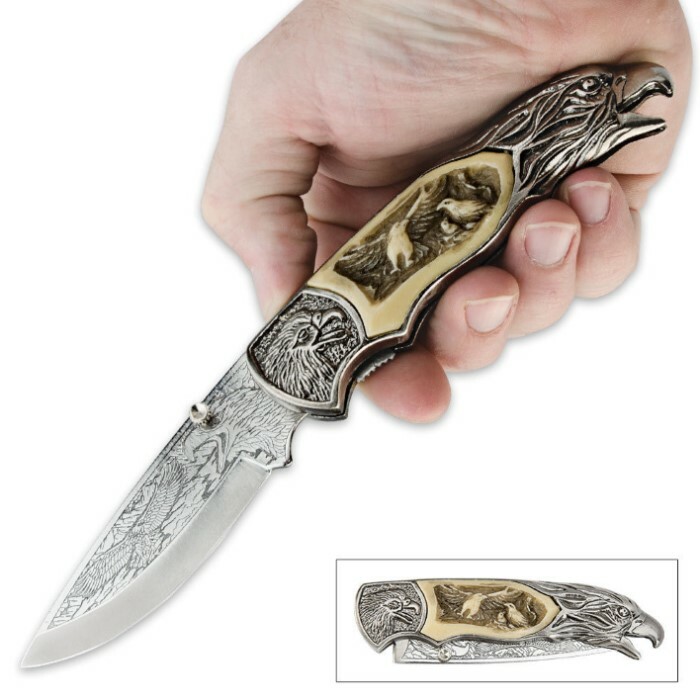 The handle is shaped like an eagle's head at the end and the liner has beautiful file-worked details, making this knife the showstopper in your collection!